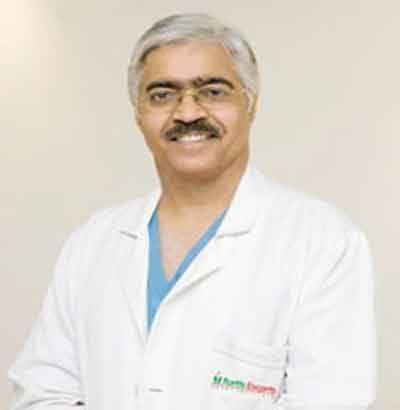 Dr Ashok Seth, Senior Cardiologist and Chairman – Fortis Escorts Heart Institute & Chairman-Cardiology Council, Fortis Group of Hospitals, has been selected for the prestigious Dr BC Roy award for the year 2015, in the category of Eminent Medical Person. Speaking to Medical Dialogues team, Dr Ashok Seth said, ” The award got announced to around 10 days ago. With the award, I feel honored and humbled, not just because its the highest award for doctors in this country, but also given in the memory of Dr BC Roy, a physician, a doctor and a statesman, who was the founder of Cardiology in this country in many ways, and also the founder and President of Cardiology Society of India, of which i also had the honour of being the president, a few years ago. I hope i can live upto the expetation of the award and inspire numerous other doctors in the country to achieve the best for their patients with a passion, dedication and uphold the medical ethics their all their activities. Dr. Seth has contributed extensively to the growth, development and scientific progress of Cardiology”, especially Interventional Cardiology in India and across the world. Over the past 25-years he has pioneered numerous angioplasty techniques for India and Asia Pacific region like Directional Atherectomy, Angioscopy, Stents, Thrombectomy devices & Drug Eluting Stents, use of Impella heart support device failing heart, Bioabsorbable Stents and Transcatheter Aortic Valve Implantation (TAVI). His expertise, skills and his pioneering efforts in teaching and training in angioplasty have won him respect and accolades all across the world. Recently, Dr Seth was invited to present his experience and perspective on the Absorb Bioresorbable Stent to the FDA Panel in Washington, USA in March 2016. This is the first time that a doctor from India has been invited to present at the FDA Panel. Seth was the first cardiologist in Asia Pacific region to perform Directional Atherectomy, Angioscopy, Stents, Thrombectomy devices & Drug Eluting Stents and use of Impella heart support device failing heart. He has performed one of the higest numbers of angiographies and angioplasties in the world – which is acknowledged by the ‘LIMCA ‘Book of Records. He has been on the board of numerous societies for medicine and cardiology and the member of the editorial board of numerous national and international medical journals. For his unique achievements and contributions he was honoured by the National award of ‘PADMA BHUSHAN’ in 2015 and ‘PADMA SHRI’ in 2003 by the President of India. Like Dr Ashok, there area many good physicians all over India. Many work for for profit hospitals, whose administrators abuse their talent and make hospital a money making business. I wish and pray good doctors realize the great talents God has given them. And there is so many Rs you need to live comfortably. Take charge of our profession and do a lot of charity work GOD bless the great physicians of India You make us all proud. Well deserved, for pioneering work in Cardiology !